The Maine Outdoorsman: Nick Names be Damned! Duck Hammer, Diesel, Duckman, Slink, Liquid, Hot Rocks, Chub, Wildman, the Savage, Ham Bone and a slew of other nicknames have, depending on your viewpoint, seemly enriched or cursed our hunting and fishing adventures for years. I suppose at some level, affording someone an alternate name is a way of heightening camaraderie and facilitating their integration into the dynamics of the “tribe”. Much like the Native Americans of old, the assignment of a nickname or perhaps better said “tribe name”, is determined based on ancient rites of passage. Unfortunately, unlike in those decades past, long gone are sweat lodges, smoking weed, hallucinations and the usage of the really cool tribe names like “Big Bear”, “Screaming Eagle”, “Crazy Horse” and “Sitting Bull”. Instead, the more modern approach incorporates the use of beer, bad cigars and black coffee to test the resolve of new camp candidates. These “tests” setup newbies to perform particular actions or in-actions, upon which a tribe name is determined. Care must be taken to ensure you are assigned with a “tribe name” that is righteous, as it may end up on your gravestone. Loathe be the individual, who doth procure the nickname tiny, stinky or pig pen. 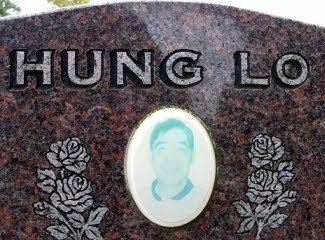 Imagine, “Here Lies the Body of “TINY” may he Rest in Peace”, etched into your granite headstone . . . if that doesn’t give you goose bumps nothing will! For a “tribe name” to be considered valid, it must be assigned by a majority vote by all tribe members. This consensus is mandatory for the new name to be considered legal and legitimate. I once had a friend, who attempted to bestow upon himself the nickname “T-Duck”. This major breach in etiquette, brought forth the swift punishment of being called “Coco the Love Monkey” for a period of one entire calendar year. By the end of the sentence, the scenario had digressed to the point where when my phone would ring the name “Coco” would appear and his personalized ring tone was the scream of a chimpanzee. It is possible that in some cases, an individual could have two or even three different nicknames depending on what “tribe” he is associated with at any set period of time. For example, at deer camp one might be know, around their hunting friends, as “Bubba” while a few weeks later at fishing camp another group of friends might refer to him as “Mayo”. The number of groups an individual is associated with and the number of friends that participate in these other various camps only confuses the scenario further. In worst case scenarios, we have resorted to wearing name tags at hunting and fishing camp to sort out the chaos. So, do “Tribe” or “Nick Names” actually work to heighten camaraderie? This question is still open for debate but preliminary studies have shown that in 90% of cases they do at least have a cursory effect in increasing ones worth within the tribe dynamics. It is also interesting to note, that the worse nicknames tends to be, the more it is used and the more the tribe tends to shepherd or protect this “handicapped” individual from the ills of the world. For example, tribe members tended to share soap and shampoo with “Stinky” and offer second helpings of food to individuals named “Slim”. Well, it is no doubt that there is still much data to gather and stats to crunch, so I am off to fishing camp for the week to do more research . . . please don’t ask me with who exactly, since I don’t really know any of their real names! This was an excellent read. My nickname "Mattsabasser" was given to me by a tribe of fly anglers. "Matt's a basser..." and it just kind of stuck. Great material by the way. Just found this place and digging it so far. DDH, LOL! Hey you know that I wouldn't give you such a hard time if I didn't like you so much! :) Hope you are enjoying your 4th! Coloradocaster, Thanks for stopping by and providing the kind words! Its nice to know that something I write connects with people on some level and that is hard to judge if people don't comment. So, thanks for taking time to drop a comment, it is much appreciated!